Why improving your home is better than moving? Technology is transforming how people garden, from robotically cutting their lawns using an app to warning them when a plant’s not growing well. And even though this connected technology contradicts the idea that gardening provides a retreat from the outside world, it can actually make the whole process far easier, more accurate and more adaptable to the unpredictability of the British weather. What’s more, it may also encourage more people to grow some green fingers, especially if their concerns are maintaining the garden. The Internet of Things (IoT) is what’s driving smarter gardens, including sprinklers, mowers and thermostats. All of these are connected via Wi-Fi, Bluetooth or 3G so they can be controlled by apps. 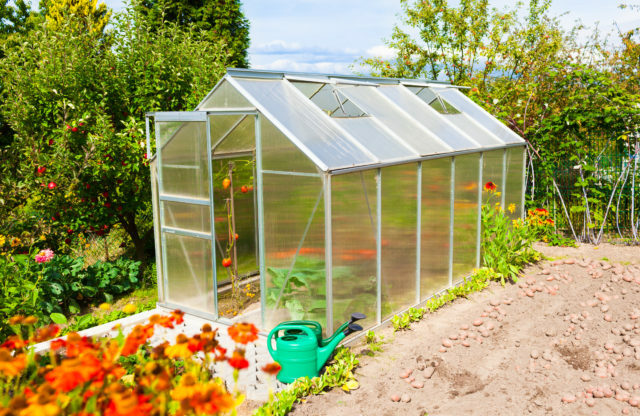 And there are also other intuitive gadgets that control themselves, including automatic window openers for a greenhouse which work with the weather to provide the optimum temperature. There’s no doubt about it – technology is constantly changing, but the gadgets that are proving to be most popular are those that either automate a job or collect data on plant conditions/the environment. For example, plant sensors can be put in the soil near to plants, measuring the levels of fertiliser, soil moisture, temperature and sunlight. And when connected to an app, this can be matched up to data that will advise the gardener on the needs of the plant, alerting them if something needs attention. The idea of plastic gadgets dotted all over your garden may bring you out in hives, but future technological advancements could be reaching us soon. For example, Iowa State University has revealed that it’s developed ‘plant tattoos’ that detect how water is moving around corn plants. Discreetly added to the leaves of a plant, it boasts an incredibly thin layer of graphene oxide (a carbon material) that’s sensitive to water vapour. Scientists also suggest it could be used to detect disease in crops in the future. 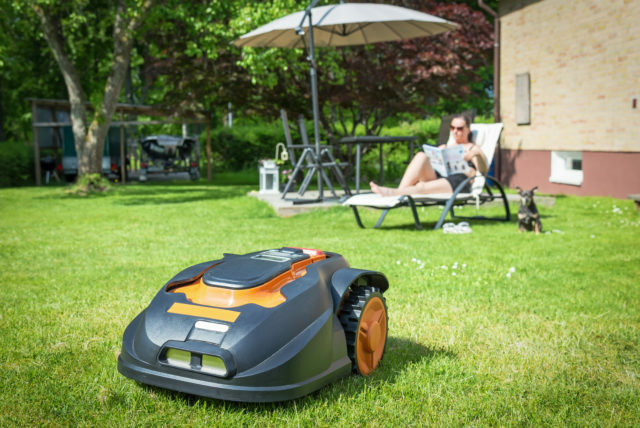 Furthermore, there is something that many gardeners will welcome with open arms – the robotic lawnmower. And don’t worry – since the first one was launched in the 1990s, things have come a long way. For example, some new designs aren’t only capable of covering large expanses but they can get over tricky terrains whatever the weather. They also boast sophisticated extras like remote object detection, GPS-assisted navigation and an app. As concerns for the environment continue to rise, new technology could also come into play to help gardeners conserve water. Some hi-tech garden systems are able to control irrigation and offer grass-growth, temperature, sunlight and rainfall sensors. This allows gardeners to log in and control each aspect of their garden wherever they are in the world. Finally, even creating a new garden won’t require much imagination as augmented reality (AR) and virtual reality (VR) are becoming increasingly favoured by landscape gardeners. This means, once they’ve finished their design, you can ‘virtually’ walk around your garden, feeling as though you can touch those stunning floral displays right in front of you. So in the future, perhaps gardeners will just need to tap a few buttons from their deckchair in order to enjoy a well-kept garden all year long. And that’s got to be a good thing, especially if your green fingers continue to fail you. Are we Reverting Back to Old Fashion Methods of Communicating and Advertising?